TULSA, Okla. (Jan. 25, 2019) – Major League Fishing announced today that Dayton, Tennessee is the fourth destination of the 2019 MLF Bass Pro Tour schedule, with its famed big bass fishery Chickamauga Lake ready to play a significant role in who wins the event, April 9 – 14. 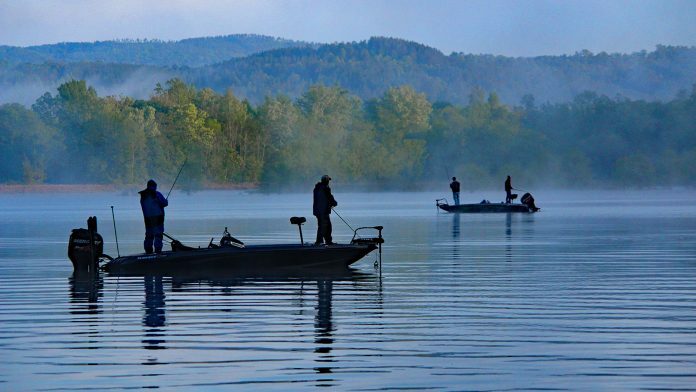 The Rhea County region, anchored by county seat Dayton and including much of Chickamauga and Watts Bar lakes on the Tennessee River, has been a proud and prominent supporter of fishing and its economic impact to the area for several years now. “Rhea County is proud to showcase our world-class fishery during one of the prime times of the season for giant double digit bass. If you’ve never tried our legendary fisheries firsthand, I encourage you to make plans now to come and join in on the festivities and see if you can catch your own personal best!,” commented Rhea County Mayor, George Thacker. Scenic Chickamauga will be familiar to most of the 80-angler Bass Pro Tour field because it has hosted many major bass tournaments over the years. In fact, living in the proximity of the 36,240-acre lake are a handful of pros who are nearing or have already surpassed the million-dollar milestone in career tournament earnings, including Michael Neal, Andy Morgan, Wesley Strader, Jacob Wheeler and John Murray. Big names and big bass hook-up frequently on Chickamauga Lake, just as area super star Andy Morgan does here with a healthy largemouth. 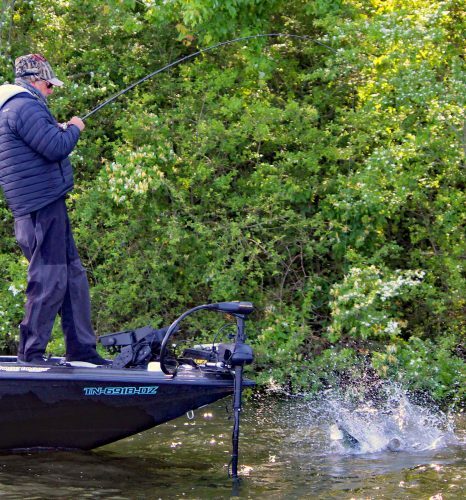 But Morgan and several other local heroes will have tough competition on the sprawling fishery as they go against bass fishing’s finest in the 80-angler MLF Bass Pro Tour field during the April event. “It’s one thing to have Toho, Conroe and the untapped fisheries like Falls, Jordan and Harris to start the season, but to have ‘The Chick’ in the cleanup position makes this early season lineup amazing,” said said Michael Mulone, MLF Senior Director of Events and Partnerships, in referring to the tour’s season openers in Florida, Texas and North Carolina prior to Tennessee. The sizable Chickamauga and its nearly 60-mile length seem to always make the lake a tournament wildcard because of its vastness, diverse cover and generous population of bass over 10 pounds. “Just this past weekend, we had a 14.2 pounder caught and released and the lake has really been fishing well for the past several years. We invite everyone to come participate in the activities throughout the competition days to witness firsthand our fabulous fishing and southern hospitality. Please put this Dayton visit on your calendars now,” Tumlin added. As in all Bass Pro Tour events, the Tennessee River venue will feature seven hours of daily live stream coverage during each competition day, with the free access to the real-time broadcast found at www.majorleaguefishing.com. Also, the Dayton event will be developed into a two-hour television show that will air on Discovery Channel in the fourth quarter of 2019. It will repeat on Sportsman Channel in first and second quarters 2020. MLF programming also airs on Outdoor Channel, World Fishing Network, CBS, CBS Sports Network and Discovery Channel, and all episodes are available on-demand on My Outdoor TV (MOTV). For more information about Dayton and Rhea County, visit www.fishdayton.com.